Ramos has struggled at Real so far this season, as they look to bounce back from the departures of Cristiano Ronaldo and manager Zinedine Zidane, under whom they won three successive Champions Leagues, and have already sacked the latter's successor due to poor form in La Liga. Sergio Ramos scored his 100th career goal last night, as he also scored in his fourth consecutive match for Spain. Despite his momentary struggles, however, Laporte believes that Ramos remains the benchmark for defenders, telling the ​Evening Standard: “Do I want to be the best defender in Europe? Of course. "Any defender will tell you that - who wouldn’t want to be the best? ​Sergio Ramos is probably the best centre-back in the world at the moment, as we know we have to match his standards or better him if we are to be as good as he is. 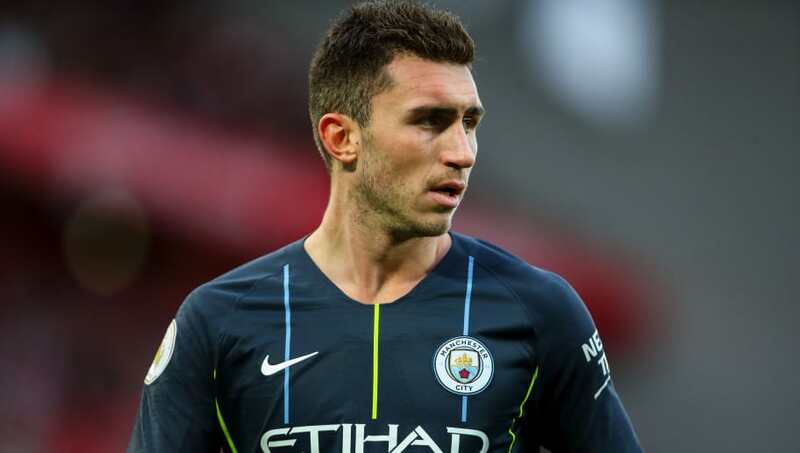 Laporte Stats: Since joining Manchester City in January 2018 Aymeric Laporte has not lost a Premier League game. Laporte joined ​Manchester City from Athletic Bilbao for €65m in January, and has become a central figure to their defence of the ​Premier League title, playing every minute of their 12 games so far. Speaking about adapting to English football, he added that it's hard work - but he's loving it. “It’s similar to Spain, but more physical, and I am really enjoying that aspect of it. I’ve enjoyed it from day one and I feel very much at home here," he added.